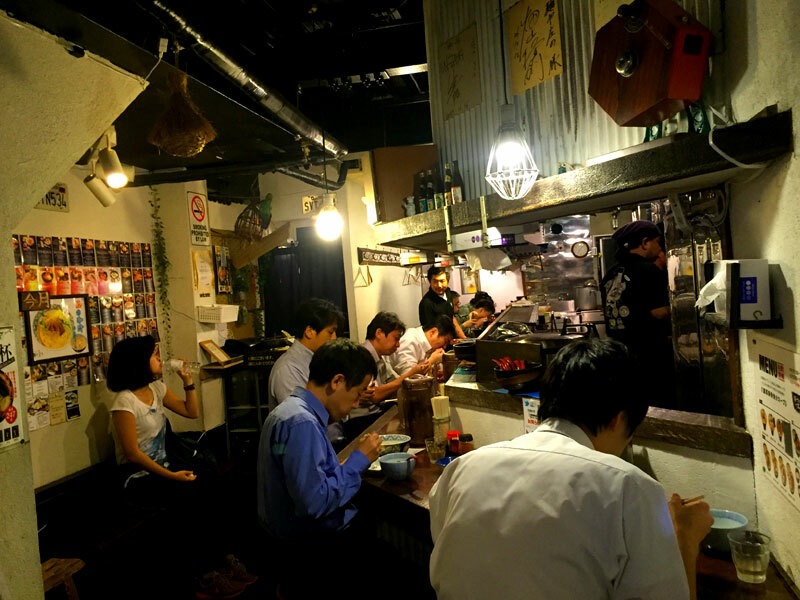 Sho-no is the ramen restaurant which famous for its creative special ramen for each month. Last time I tasted chocolate tsuke-men. It went beyond the fixed idea of ramen. This time I ordered ordinary menu. 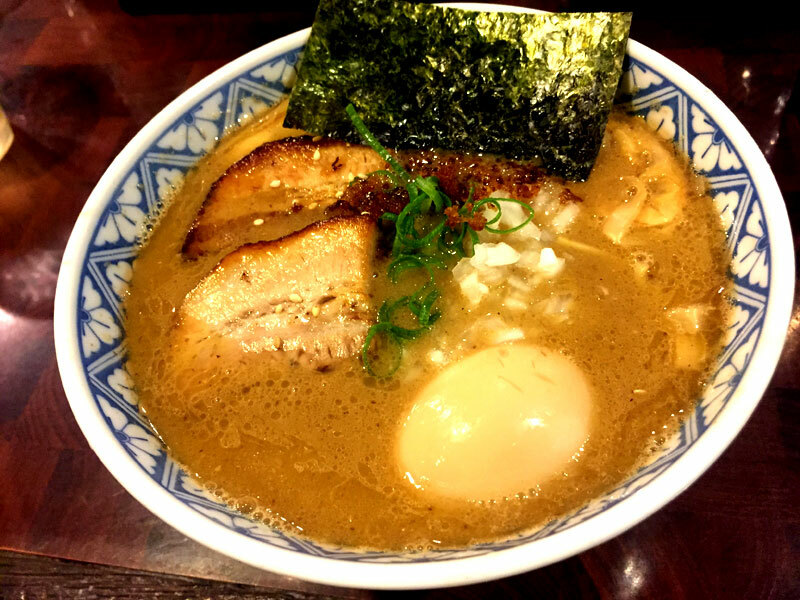 Ordinary menu is also sophisticated but please try monthly creative and special ramen some day. There are 14 seats inside. For the interior, it uses wooden tools which was used for houses. You may feel calming and warming atmosphere here. 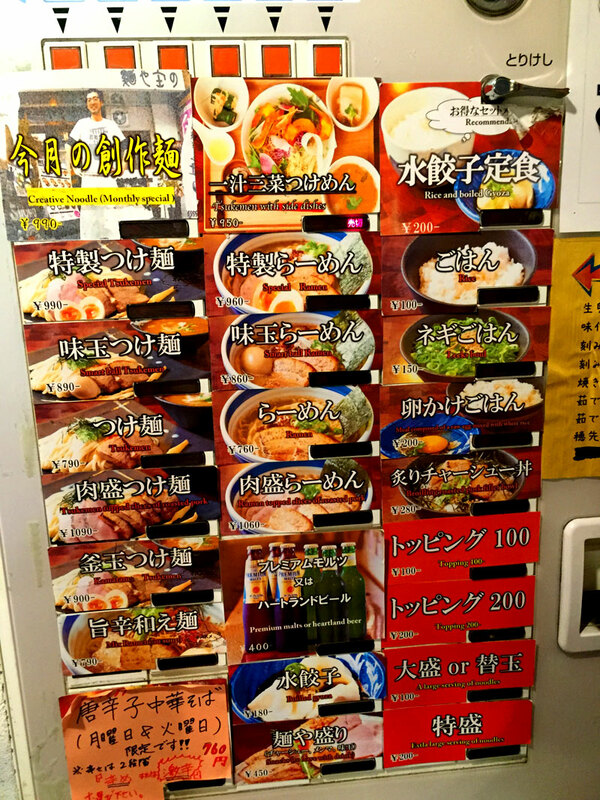 creative monthly ramen button is placed at top and left corner. 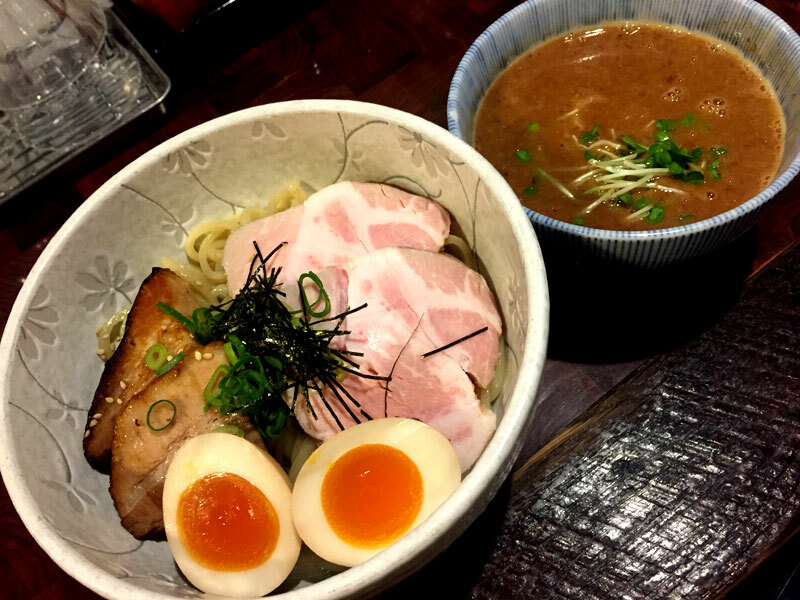 Basic menu is Tsuke-men or ramen with variety of toppings. Soup: rich taste of soup combined with pork bone broth and fishery broth. To create highly quality soup, it was stewed for whole 2 days. Noodle: not too thin but not too thick. waved noodle entwine with soup a lot. Toppings: Four roast pork and raw egg. Raw egg makes soup more creamy and mild. Rock of roast pork gives you certain satisfaction to your apetite. Basically, this is the same soup as tsuke-men but little bit milder and oilier. Onion and green long onion adjust rich taste of soup and bring a sense of unity.